For the perfect escape, why not visit our award-winning holiday cottages in the Peak District? We know that, on your holiday, all you want is to relax in luxury and enjoy the scenery and local activities with your family and friends. To make sure all your needs are met, we offer large luxury self catering cottages in the Peak District for you to indulge in. You can take advantage of any of our self catering holiday cottages in Derbyshire as part of a short break with mid week and weekends available to book. Our residences are non smoking and we don’t allow pets. 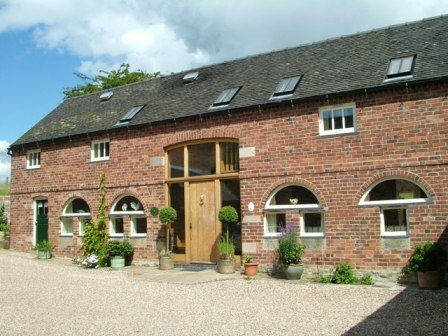 As a family run business, we understand that your family deserves the best quality self catering cottages in Derbyshire, as well as plenty of exciting and unique activities to see and do. Located on the outskirts of the historic town of Ashbourne, our cottages are nestled amongst the peaceful Derbyshire countryside in perfect reach of Matlock, Wirksworth, Belper, Bakewell, Buxton and the adjoining, stunning, Peak District. The perfect location for you and your family to relax and unwind after a long journey, our luxury holiday cottages in Derbyshire and the Peak District allow you to explore the magnificent Derbyshire countryside and the dramatic Peak District with ease, no matter whether you stay with us for weeks, mid weeks or weekend short breaks – we’re here for you all year round. Offcote Grange’s self catering cottages in Derbyshire consist of Billy’s Bothy and Hillside Croft, two exceptional large detached self catering holiday cottages located at the edge of the Peak District and Derbyshire. Set in scenic rural locations, each of our luxury holiday cottages in Derbyshire and the Peak District has its own beautifully landscaped gardens and orchards that are a pleasure to relax and unwind in. Offcote Grange itself is an impressive historic grade II listed farmhouse and coaching stop dating back to the 16th century with beautiful walled gardens and outstanding views, set amongst pastureland peacefully grazed by sheep and cattle. Located at the rear of Offcote Grange and within our 10 acre curtilage, Billy’s Bothy is a former workers cottage and bothy. Restored to its full grandeur the bothy has been converted to provide an exceptional 5 or 6 bedroom holiday cottage full of character and charm. Built of handmade red bricks, it has pretty arched windows and a host of exposed beams and features. 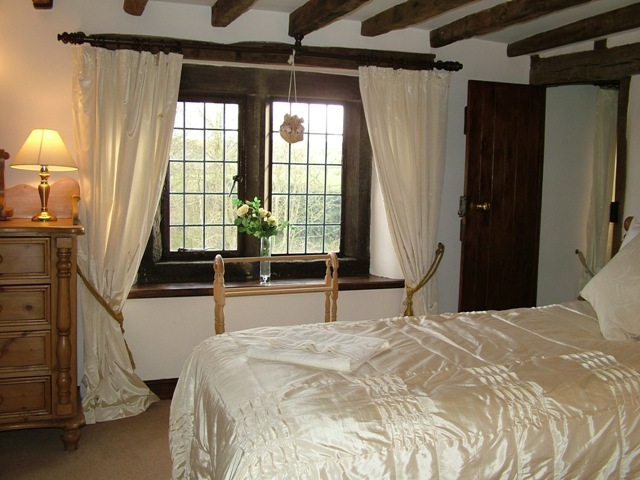 All rooms are en suite and there are wonderful brass and cast iron beds throughout. With our sauna available for your use and relaxation it really is one of the most luxurious self catering cottages in the Peak District. The second of our large luxurious self catering cottages in the Peak District, is Hillside Croft, a detached 5 bedroom character cottage dated 1709. Set in 6 acres of private landscaped gardens and pastureland, the cottage is built of mellow sandstone with pretty leaded glass windows set in quaint stone mullions. 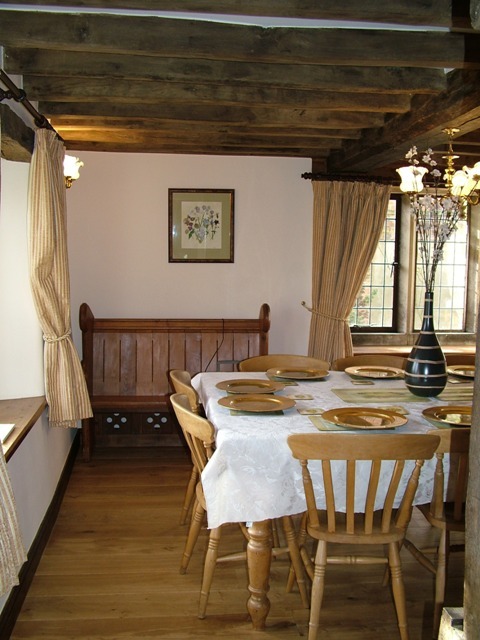 Hillside Croft holiday cottage has heavy oak beamed ceilings throughout and a mix of stone and part timbered walls. Pretty inglenook fireplaces with cosy log burning stoves add warmth and charm to this pretty cottage located 4 miles from Offcote Grange. A large private hot tub is also available for guests. Who Can Our Holiday Cottages in Derbyshire Cater For? Relax with us and enjoy a pampering break; our aim is to supply you with a wealth of information on the Peak District and surrounding areas. We’re here to give you insight in local activities, where the best places to eat are and which are the hot must-see spots to explore! Derbyshire has something to offer everybody, whether that’s to enjoy the selection of historic and National Trust properties such as Chatsworth House, Kedleston and Sudbury, or the varied scenery of the Derbyshire Dales and Peak District National Park for leisurely walks, you’re sure to be entertained. For lovers of nostalgia, try the steam engine and tramway museums in the area. Alternatively just relax, enjoying good food with friends or family; Derbyshire really has it all. For those wishing to take it easy, pamper yourselves with our sauna, take a dip in the hot tub or enjoy a delicious meal prepared especially for you as part of our relaxation therapies. For holiday cottages in the Peak District and Derbyshire, be sure to look no further than Billy’s Bothy and Hillside Croft, for your chance to indulge in pure luxury. For more information, don’t hesitate to contact us today on 01335 344795.